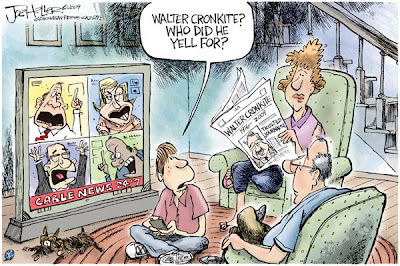 Walter Cronkite passed away last week at the age of 92. Cronkite helmed the CBS Evening News for almost 20 years and in countless surveys throughout the years was voted "the most trusted man in America". 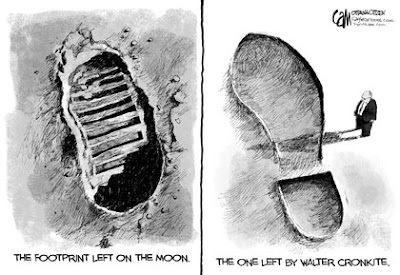 He has been associated with two key events in particular: his coverage of the death of John F. Kennedy and of Neil Armstrong's walk on the moon. 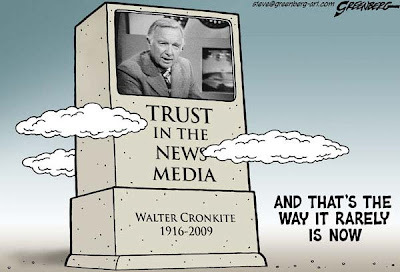 I loved and trusted Walter Cronkite. 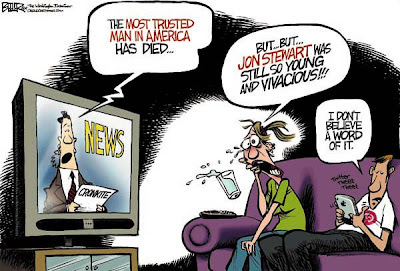 But now I love and trust Jon Stewart! The cartoonists have nailed it right on the head. 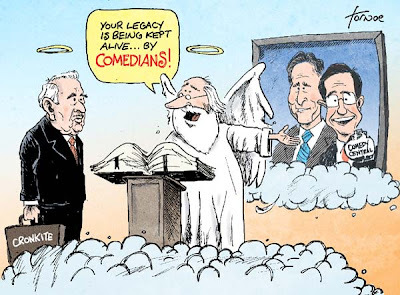 I can''t beleive they replaced him with Jon Stewart. That is just nuts! CatLadyLarew: That's the way it is, but it's something of a sad commentary on where people get their news - from a comedian! dizzblnd: Stewart's funny. But he's doing satire and parody - not journalism.